We didn't publish a first quarter 2017 release article so we're publishing a first half 2017 release article instead. Its been quite a busy year so far. Over our entire suite of products we probably added 100+ new features or enhancements! So if you own a license to an Awesome Support bundle or add-on - you know you're in good hands when you hear those kinds of numbers, right? Obviously we released version 4.0 which included dozens of new features, tweaks, fixes and updates. But, since that release, we also released 3 minor updates - mostly bug fixes but with a few new items thrown into the mix. You can read the release notes directly on WordPress.org. 4.0.4 - more fixes, internal improvements and new options for deleting unused products, managing cookies and viewing the close date of tickets. If you charge customers for support you probably use a mixture of plugins that are loosely integrated to capture your sales and then manage the workflow. This add-on makes that process a lot easier. Customers can purchase tickets or a recurring subscription for your support services. If a subscription expires or is used up (eg: they exceed their hours or number of tickets), no new tickets can be opened until a new package is purchased or the subscription renews. Agents and managers see exactly how many hours or tickets are left in a customers subscription. 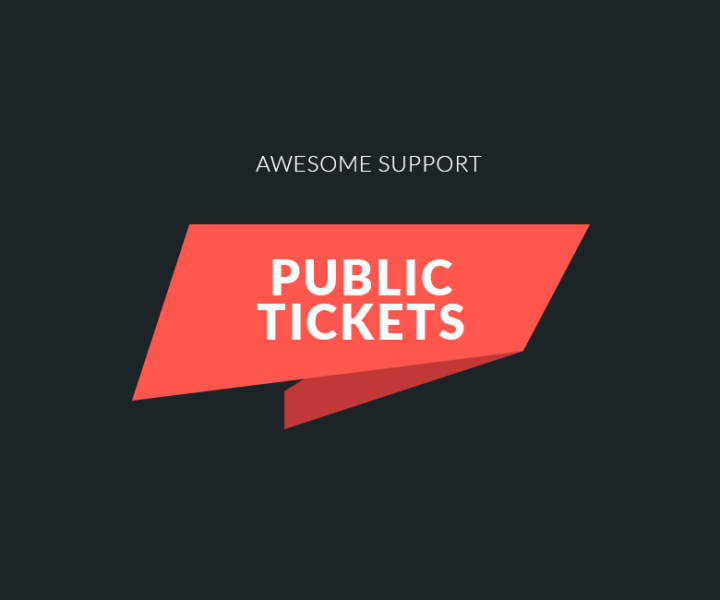 Attempts to open new tickets without a support token or subscription redirects automatically to a notice page, your store or any other URL you specify. 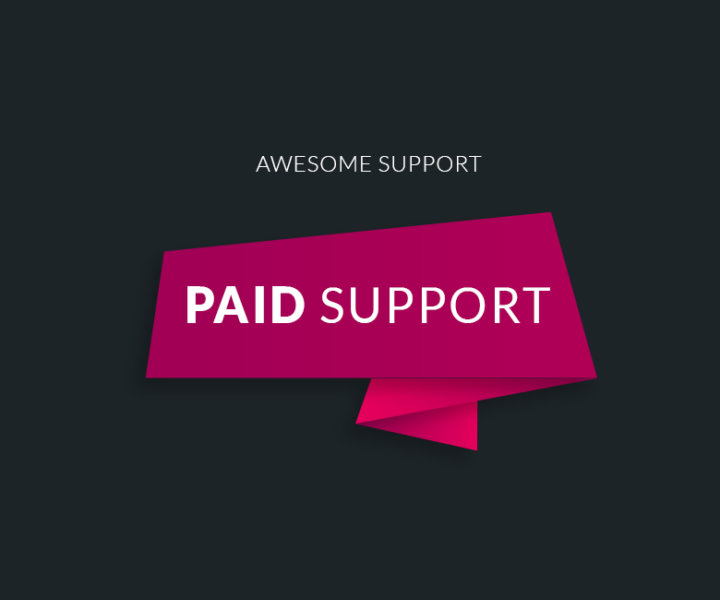 In other words, your entire paid support process just becomes a whole lot easier to manage. We've also included new options for encoding flexibility, handling more types of emails, better logging and a couple of new experimental features that you can try out. Upgrade to the new version directly in your WordPress PLUGINS database - but only if you're using Version 4.x of Awesome Support and PHP 5.6! We vastly improved your options in this add-on. Your support operations dashboard never looked this good! Tickets are private - by default the public cannot view them. But all or some of your tickets can probably be used as a knowledge base. So why not allow them to be viewed publicly? This add-on allows you to do just that - with controls implemented at the user, agent and admin levels to ensure that just the right tickets and replies are made public. Get more information about public tickets here. We quietly released an early version of the REST API for WordPress. You can get a copy of it as a pre-built add-on from our store. Or, you can get it directly from Github. If you're a developer we would love it if you could exercise it and offer feedback or even code improvements via GitHub! There is an early release of this add-on available in our store now. While the free Awesome Support core permits your agents to record time on a ticket, this add-on takes time tracking to the next level. We don't want to list all the features here - if you need this, you already know it so just jump here to see all cool things you can do with it! The Satisfaction survey add-on has been upgraded to add 3 new options for processing surveys. New email template tags allow you to get survey results without sending additional emails. We wrote a separate educational article about the new options: Create Effective Satisfaction Surveys. You can purchase Satisfaction Survey here if you don't already own a license. A new version of this will be released within the next 30 days that will add even more Awesome features so keep an eye out! We added the customer lifetime value to the metabox inside the ticket, made changes to ensure compatibility with the latest version of EDD and Software Licensing, tightened down how the ticket form operates by automatically limiting certain product/order selections based on the license key selected and a few other key changes. You should definitely test this on your test site before upgrading! The following changes were made to bundles - if you're an existing bundle license holder you can log into your account to download any new extensions that were added. An advanced reporting add-on is slated for the 2nd half of this year along with one to help you integrate documentation with your tickets. We also have a powerful rules engine planned. All three new extensions will be included for free in the Agency Bundle and available for purchase individually for other license holders. Finally, we're hoping to have an importer available - this will help to import tickets from the major SAAS providers (eg: Zendesk). This will be a free extension and posted on git-hub.